OK. This isn't, I believe, original. I've been pondering it for a while. It all started with a Hobbit (Middle-Earth) campaign draft, where one of the main enemies was a barbarian king that – due to his greed – was slowly becoming a dragon (he was called the Burning Man, the King of Embers or something like that). I created that because I didn't want Middle-Earth dragons to hatch from eggs and stuff like that (the idea that Smaug was once a 'cute' wyrmling wasn’t right). Besides, in this regard, I love the Hobbit cinematic trilogy’s take that Erebor’s fall was provoked by the Dwarven King's greed and eventual madness, the Dragon itself just being a consequence. I really like this thematic/symbolic approach to monsters. Dragons used as signs of madness, vices and devastation. It fits nicely. Let’s try that with something smaller: Bugbears! Goblins on steroids = boring. At least one brazilian setting ditched the word ‘bugbear’ and just called them "Giant Goblins". 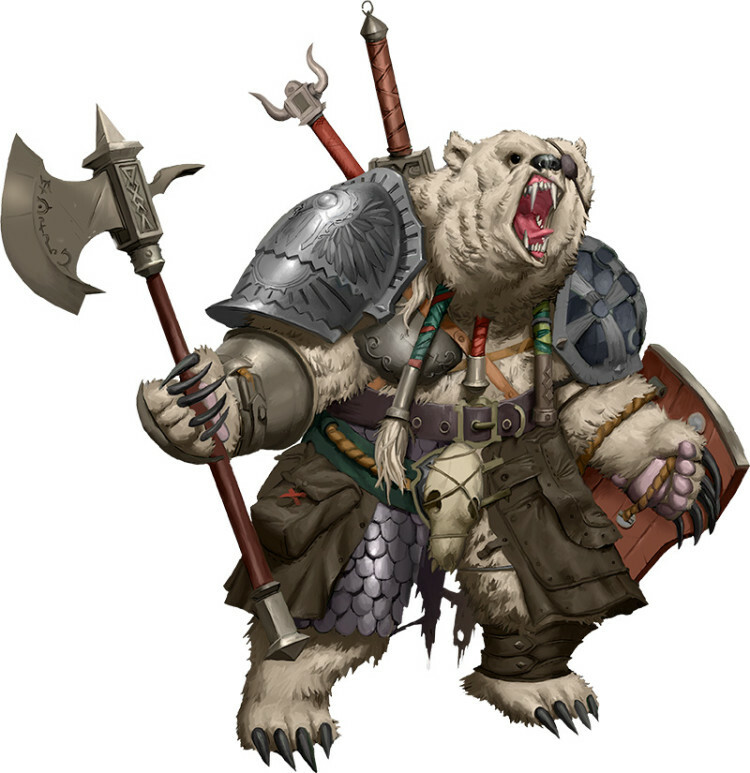 Anyway, I'm only keeping Bugbears in my games if I can make scarier and weird (kind like Paizo did with their goblins at the begining). 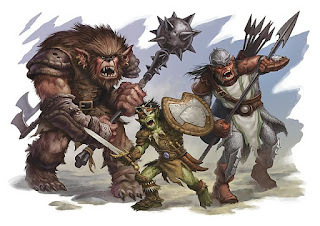 In fact, I still want connection between goblins and Bugbears. What if Bugbears are actually the main consequence of "goblin rabies"? If you're bitten by a goblin, wounded in its lair, eat its food (Ugh!) etc., you can be infected by goblin rabies. Now, a bad side effect of goblin rabies is that only the diseased can see the Bugbears (if you want to go more ‘fairy tales’, allow madmen and children to also see the creature). To make things worse, more Bugbears will usually show up after the first or second night. 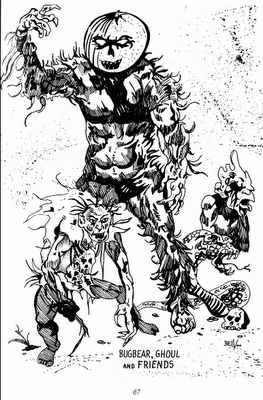 If the victim is unlucky enough to be wounded and killed by the bugbear, then his body usually explodes in a gore fashion (it's a fey disease, we can get as bloodier and weirder as we like!). 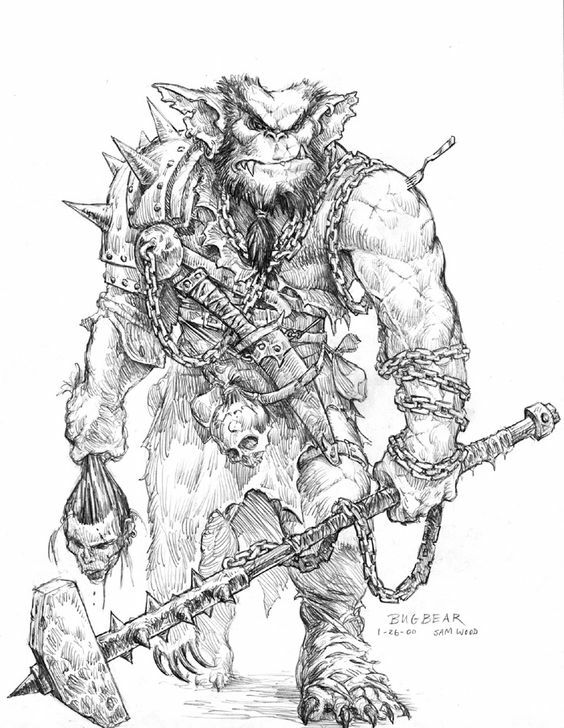 I wish Bugbears looked like THIS! We can say that a typical goblin rabies starts with 1 Bugbear showing up for 1d4+1 rounds. If he's killed the disease will run its natural course and be healed in a few days, after the infected heals the disease damage (if you keep track of this stuff) (and yes, the Bugbears can scape during combat... he knows how many rounds “of existence” he has so can decide do escape to show up another night). If the Bugbears isn't defeated he'll attack again and there's chance of there being more Bugbears! It’s easy to steal the concept and estipulate that vanity brings hags, greed attract red dragons (or generate them, or the greedier monarch in a dragon slowly etc. ).